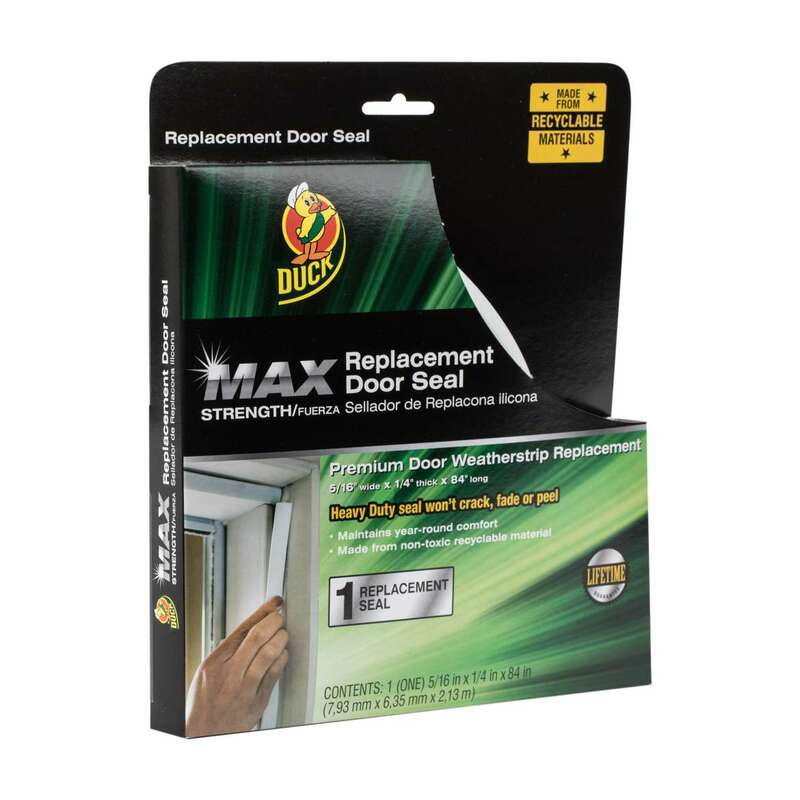 Home Products Weatherization Window & Door Seals Duck® Brand Max™ Strength Replacement Door Seal - White, 84 in. 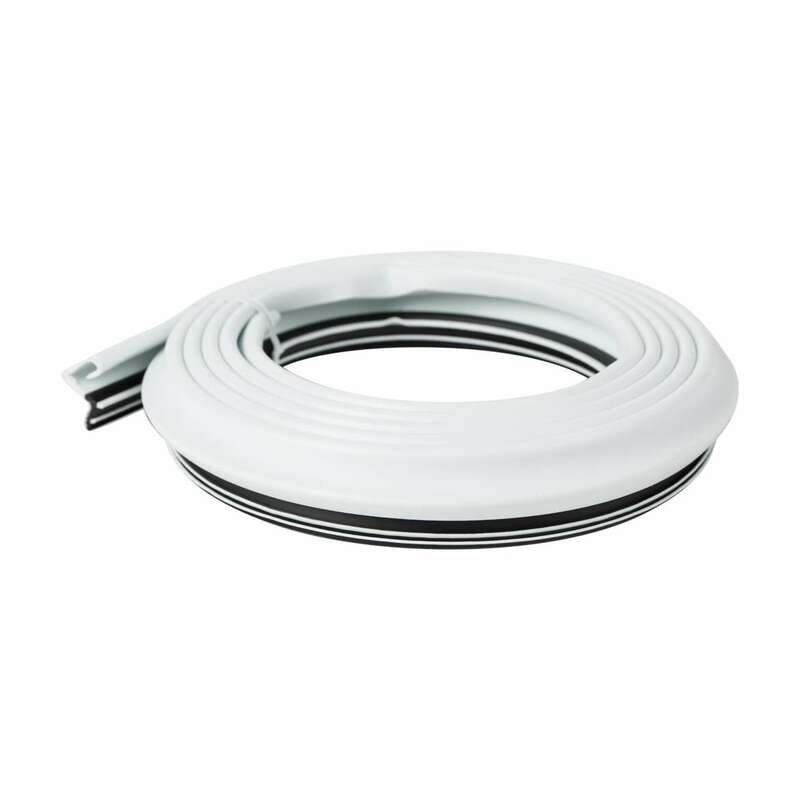 Duck® Brand Max™ Strength Replacement Door Seal - White, 84 in. Enhance indoor comfort and help save on energy costs with Duck® Brand Max Strength™ Replacement Door Seal, premium kerf-style weatherstripping for long-lasting insulation. 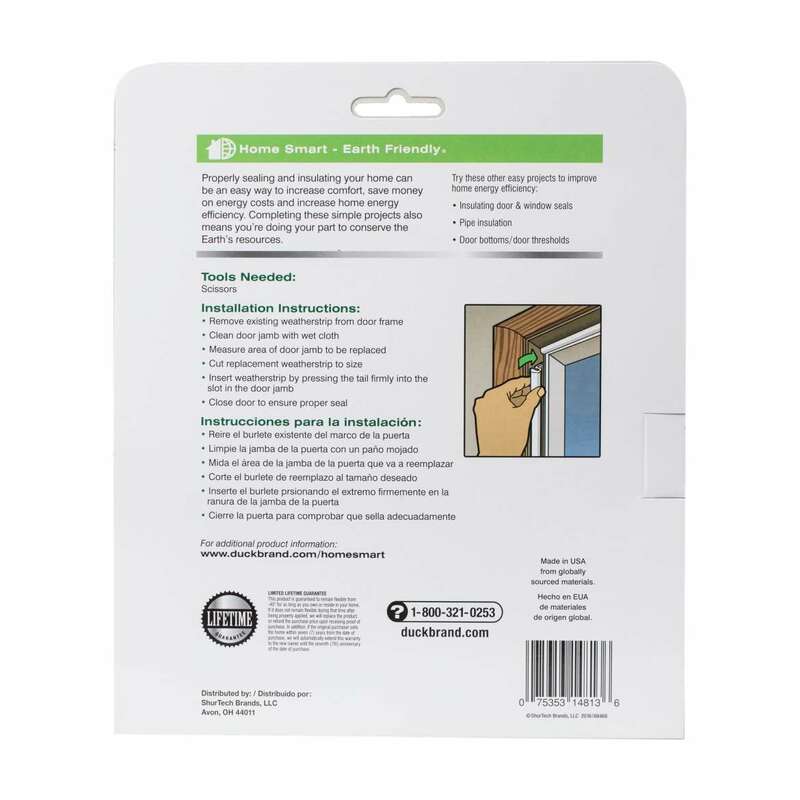 This door seal will not crack or peel and can be easily installed using only a pair of scissors - no nails or adhesive required. For use on prehung doors with kerf weatherstripping channel slots. Door seal weatherstripping reduces drafts and prevents air from escaping, ensuring your home stays comfortable during both the heat of the summer and the chill of the winter.